Are you willing to pay the cost of silence? – Lead. Learn. Grow. Are you willing to pay the cost of silence? I just started reading Crucial Conversation (I know I’m behind). I haven’t even made it through the first chapter and my thoughts are already whizzing around in my head. Within the first few pages, I’ve challenged myself to grapple with the question that title’s this post. “Am I willing to pay the cost of silence?” In case you’re wondering, when I refer to silence – I’m referring to the act of avoiding providing critical feedback and I’m referring to not having conversations because they may be potentially uncomfortable or difficult. Then I began to think about the potential cost of not having those conversations and who ultimately is disserviced as a result. My reflection was humbling. As an educational leader, coach, and learner, no one likes to be on the receiving end (or to be honest) on the giving end of critical feedback. It doesn’t feel good to have someone tell you that you’ve missed the mark or that you haven’t done something right. It isn’t an easy thing to provide a colleague or teacher with critical feedback about a specific incident or lesson. But it is necessary if we intend to get better at the work of leading, teaching, and learning. Two things were illuminated in my reflection. If we are going to do what’s right for kids, we have to move past our possible feelings of discomfort and not allow them to outweigh our obligation to provide feedback to help our teachers and colleagues become better. Understanding that it isn’t going to be easy. Leadership if done right is almost never easy. It forces us to make hard decision and to have even harder conversations. However, we do it because our loyalty and our duty is to educate all children. When we keep silent or choose to look the other way, our students pay the ultimate cost . The stakes are too high and our students can’t continue to pay without incurring serious debts. It’s not about me (Leslie) and whether I am going to feel uncomfortable telling Ms. GreatTeacher that I need more than her “feeling” about how the lesson went to determine the lesson’s effectiveness. That using your feeling to determine a lessons success isn’t good enough. It leaves too much to chance. It won’t be easy and it may not be comfortable for me or Ms. GreatTeacher when I explain that without making students’ thinking visible and/or formative assessment, we don’t know if students have mastered the skill. And unless those things occur we can’t say with confidence that our students are growing, understanding, and moving toward or beyond mastery. 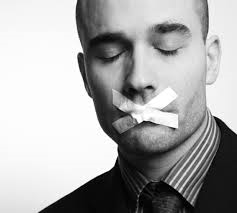 My commitment is to stop letting students pay the cost of silence. It won’t be comfortable and it won’t be easy, but it will be most importantly, what’s best for our kids, and what’s right. As always, I would love to hear your thoughts, ideas, and comments.